A NEW WEBSITE for reviewing dog-friendly establishments has only one restaurant listed for Atwater Village. 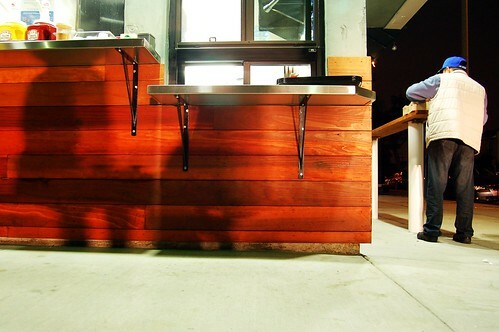 Dogs are welcome at the outside tables at Hugo's Tacos, 3300 Glendale Blvd., the site says. But it's missing at least one other: The Village Bakery & Cafe, 3119 Los Feliz Blvd., where pooches are often perched next to sidewalk diners. Any place else in AV that's this canine-friendly? 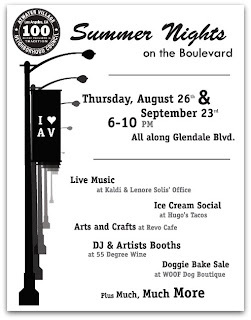 DJ and live music all along Glendale Blvd. 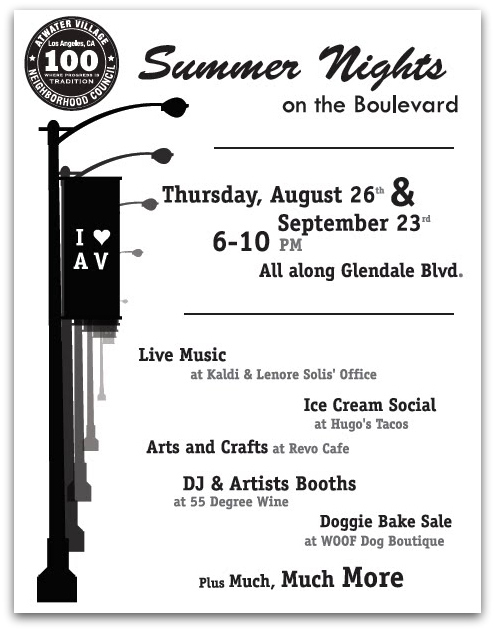 Ice cream social at Hugo's Tacos, 3300 Glendale Blvd. Handwriting analysis at Revo Cafe, 3134 Glendale Blvd. Dog-treat bake sale at Woof Dog Boutique, 3172 Glendale Blvd. Considerate Vandals? Paint on Garden Ave. I wanted to give you a heads up about vandalism this morning on Garden Ave between Tyburn and Glendale. It looks like the house on the corner of Tyburn and Garden was being repainted, and someone took a roller of paint and tagged the wall of that house, then went up the block and painted over several car windows. Seems fairly random, but looked like they got 5 to 10 cars on the block. They only painted over the windows, so I guess they were considerate vandals? Anyone else spot the mess? Anyone leave their paint supplies out overnight?